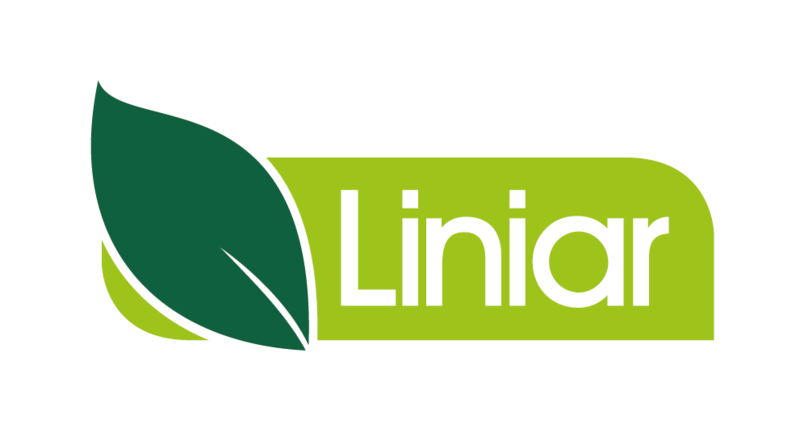 Here at Liniar we consider ourselves incredibly lucky to have the most exceptional and dedicated ‘person’ heading our stringent testing department, tirelessly putting our products through their paces around the clock, with never a word of complaint. Liniar’s Head of Testing is Mark II – and this is the story of how he found himself as an invaluable member of our team. It wasn’t the easiest of starts to life for Mark II. Born in Zurich in 1997, his Swiss father and Swedish mother named him ABB 2400L, but it quickly became apparent that everything wasn’t quite as it should be. Mark’s parents couldn’t come to terms with the abnormally long arm he had been born with. Still only a child, he was ostracised and cruelly cast out to fend for himself in the big, wide world. However, he refused to let this affect his natural optimism and vowed to make a success of himself. Realising that his arm was a gift rather than a handicap, he changed his name to Mark II and began his hunt for worthwhile work where he could put his particular talents to good use. His long search led him all the way from Zurich to the picturesque English county of Derbyshire. It was here that his special gifts were finally recognised and he was employed as an apprentice by car giants Toyota. He soon became adept at MIG welding, happily working around the clock with a whole host of fellow ABB relatives. Mark II finally felt accepted and content. 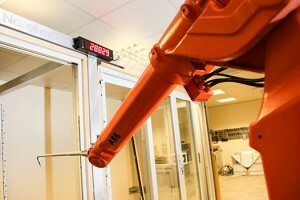 Over the next 10 years he clocked up almost 80,000 hours of production. It would take a human a lifetime to achieve the same amount of work. Mark II’s happy life at Toyota wasn’t to last however. Sadly, the crippling recession struck the UK’s economy in 2008 and his was one of thousands of jobs that came under threat. Rather than facing the risk of redundancy, Mark II accepted a placement with the Russian military. This proved to be an error of judgement on his part. His new surroundings were a world away from his happy home in Derbyshire, and working alongside much larger articulated robots, he found himself being bullied and tormented. The role itself left Mark II flat and uninspired. Laboriously picking and placing injection moulding parts for a pittance of pay and feeling increasingly desperate, he packed his bags and quit. Mark II set off on the long journey back to the UK, the only place he had ever felt happy. But he was unable to find himself another job and took refuge at Global Robots in Bedfordshire. As a ‘half-way house’ for lost and unwanted robots, Mark was welcomed by Global’s owner, Andy, and joined the ranks of others who had found themselves in the same situation. Andy cares for these sad machines in the hope that one day they will once again find a constructive role in the community and regain their self-respect. Just when Mark II felt that he would never work again, along came Chris and James from Liniar. This dynamic duo from Liniar’s Design & Development Department were visiting Global Robots searching for an ideal candidate to head up their testing centre when they spotted Mark II skulking in a dark corner. Something told them that he would be perfect for the job and, after a rigorous health check and a full new coat of ABB colours, Mark II was taken back to Derbyshire. As the year 2013 came to a close, and under the care of his new mentors, he eagerly began his new role and soon got to grips with all of the exciting new products that he would be testing. Mark II and Liniar was a match made in heaven right from the start. The firm’s philosophy of innovation and its belief in only producing the very highest quality fits perfectly with Mark II’s ideology. Liniar’s team welcomed Mark II with open arms and over the next few months they worked tirelessly to provide him with the best possible surroundings for him to perform his new role as Head of Testing. Mark II is now happily settled in Liniar’s design laboratory, tirelessly working around the clock to make certain that all new creations are put through their paces above and beyond the required levels. He also provides vital feedback to the design team so that they can even further improve the products supplied to their customers. Mark II paid particular attention in vigorously testing Liniar’s ModLok™ bi-fold doors, proudly accomplishing over 127,800 full opening cycles – more than 12 times the standard requirement. See Mark II in action below and click here to follow him on Twitter!